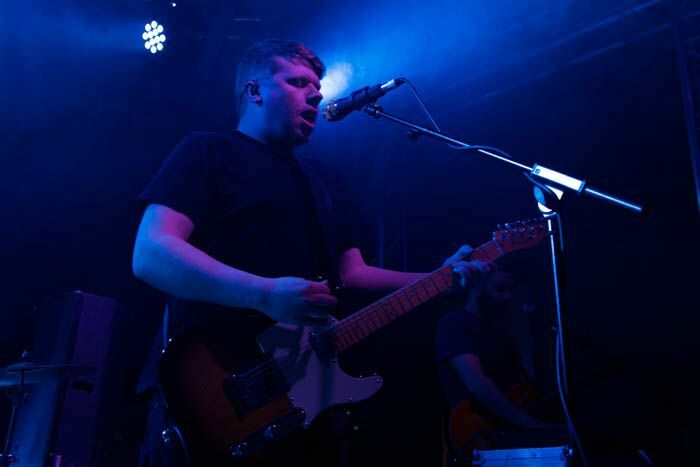 Celebrating the old as well as rolling in the new, Getintothis’ Paul Higham sees We Were Promised Jetpacks rise to their mid-career challenges. One of the most challenging aspects of a group’s career trajectory is the evolution of sound and style. Now onto their third album, last year’s Unravelling represented We Were Promised Jetpacks boldest and most experimental offering yet. The record reflected a change in the band’s line-up, with keyboardist, Scott McGachan having joined to provide distinctive keys as well as additional guitar and backing vocals. More than just a minor facelift, this proved an excitingly evolutionary addition. 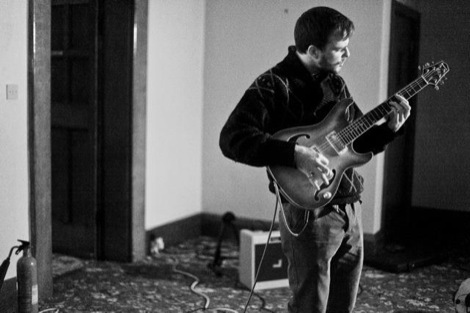 Songs become more restrained, imbued with emotional gravity more than dynamic bombast. As with any change it is interesting to see the reaction in the live arena to the new material. 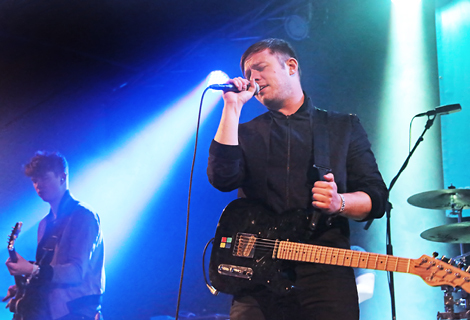 Tracks off the new album were tightly delivered showcasing the band’s trademark walk of sound that recalled the cochlea-exfoliating cacophony of compatriots The Twilight Sad. Distinctively Scottish, as a live force shades of Franz Ferdinand‘s sprightly angularity bubbled not far from the surface. It made for a more interesting and experimental sound than the earlier records suggest and bears testament to a forward looking outfit unafraid to challenge fans’ expectations and unwilling to stand still. As on record, where one often expected material to disappear into overblown territory the band were clever enough to know when to hold back and ratchet up the musical tension. It made for a thrilling ride into the musically unexpected. Drawing a sizeable Saturday night crowd, fans lapped up the new material but saved their greatest enthusiasm for the older material. It is clear that this is a band’s that inspire devotion. Men with smiles as wide as the Mersey Tunnel opening clung steadily to each other as lyrics were gleefully bellowed back at the band. Fists were pumped, hands were clapped, the stadium atmosphere downsized to fit snugly into the Arts Club attic. Older songs will always provoke greatest affection. They evoke memories of times past and of shared experiences. It is clear from this performance that they create a communal unity that makes for a contagious and uplifting atmosphere. What was equally revealing was the response to the new material. Less lived in than the songs from the first two records, the reaction was less euphoric and more muted, understandably so. However it showed that the subtle shift in direction has captured the imagination of the band’s long-standing devotees. In looking to the future while remaining loyal to their beginnings, We Were Promised Jetpacks might just have struck on a template for continued success. Hailing from Toxteth, emerging talents Polar States kicked off proceedings with a sure-footed performance. On this evidence the band can expect to enjoy a level of success commensurate with their meteoric rise. All the ingredients appear in place: the looks, the engaging and charismatic frontman and the between song patter were all present and correct. To their credit the group have a range of half decent tunes that take their influence from the heady days of Britpop when the sun always shone and Oasis could play to hundreds of thousands at Knebworth and Loch Lomand. Clearly with potential, the nagging feeling is one of a band with its eye too firmly on the prize. The suspicion, rightly or wrongly, it’s one of a band reading itself for stadium tours. The singer’s closing song antics while right for such a stage, appear slightly contrived in the Arts Club‘s intimate attic setting. It’s as if this ambition has limited their musical palette. The challenge we’d lay down is to be more original, a little more individual and self-defined. You never know, such an approach might result in both goal fulfilment and greater artistic credibility.